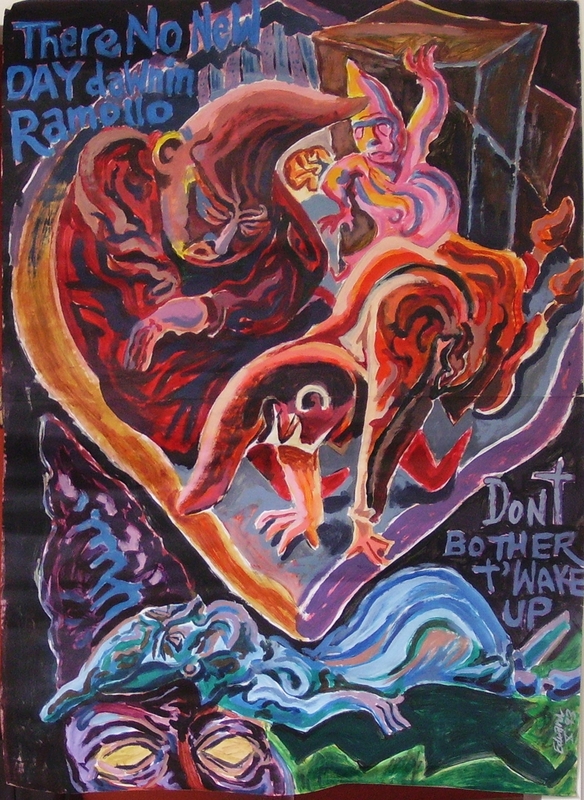 A painting of Ramollo from 1993. The original is about 2 feet across and painted in acrylics on paper. In this image, the homeless outcast Ramollo appears to be dreaming about himself as he suffers a sleepless night. One of his own apparitions is giving him indigestion.